Played: 53, Broncos 30, Bulldogs 22, drawn 1. The suspension of David Klemmer is a huge blow to the struggling Bulldogs but may also present a psychological danger to the Broncos, who are prone to drop their guard against lower-ranked teams. But seriously, if the Broncos are to be considered a threat in the competition they must win this, and win well. They have won seven of their past nine and the injury clearance to Alex Glenn is a boost. Played: 25, Knights 13, Tigers 12. The Tigers are 100-1 to win the comp, the Knights 1000-1, so the importance of this clash on the premiership table is obvious. But that could well mean an entertaining affair, especially if Kalyn Ponga, Mitchell Pearce, Benji Marshall and Robbie Farah are permitted some freedom. The Knights hold a slight winning edge in overall matches as well as those played in Newcastle, but with the Tigers still a faint finals hope, they should prevail. Played: 28, Storm 24, Rabbitohs 4. Rabbitohs supporters hoping their team can regain some form tomorrow night should stop reading. 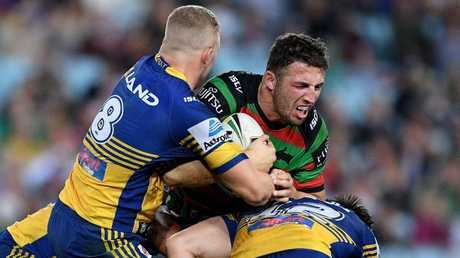 Of 28 clashes between these clubs, the Storm has won all but four, and the last time they met - round 25 last year - the Rabbitohs were hammered 64-6. 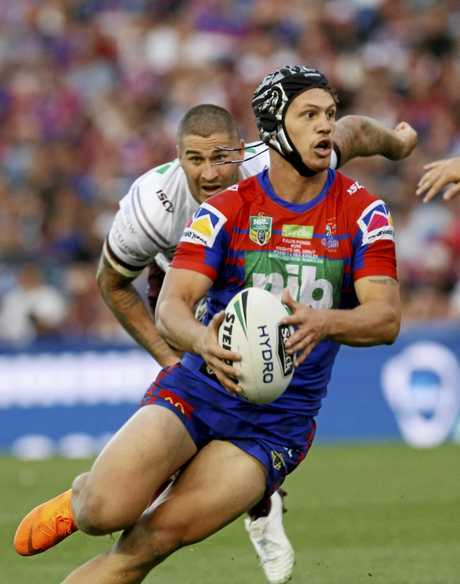 Still, it shapes as the match of the round between the two teams on top of the ladder, albeit with the Rabbitohs having struggled of late and the Storm being back to their very best. While the forward clash will be engrossing, the slickness of the Melbourne backs appears to be the reason the defending premiers are $1.70 to win their ninth in succession. Played: 27, Dragons 21, Warriors 6. Both sides are finals bound but struggling - the Dragons having lost three of their past four and the Warriors four of five. But at WIN Stadium, where the Warriors have never won in their 10 visits, surely it is time for the Dragons to rediscover the mojo they showed prior to their heavy Origin commitment. Conversely, the Warriors face that time of the season when they struggle for consistency - and a week preparing on the Gold Coast is unlikely to have helped. Played: 17, Titans 11, Eels 6. Well clear of the wooden spoon and backing up after a magnificent win over the finals-bound Warriors, the Titans should be brimming with confidence going in against the disappointing Eels. But such is the hit-and-miss form of the boys from the glitter strip that the bookies have them as underdogs. Look for Ash Taylor to finally fire in a Titans' win. Played: 36, Roosters 25, Cowboys 11. 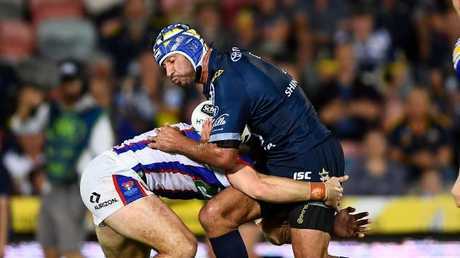 Still not clear of the ignominy of the wooden spoon in Johnathan Thurston's final season, the Cowboys might have found a win last weekend but so did the Roosters - and how. An upset here would be an absolute miracle, although the loss of Luke Keary is a blow to the Roosters and their chances of finishing top two. In simple terms, the Cowboys will be outgunned. Played: 89, Sea Eagles 63, Sharks 24, drawn 2. After crying in their beers last weekend, one of these coaches will at least be able to force a smile come Sunday afternoon. 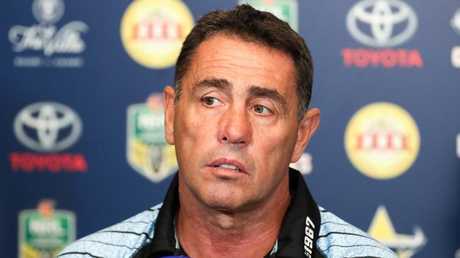 The Sea Eagles must be at rock bottom after conceding four tries in six minutes, while the Sharks will be looking for more in attack after being all at sea trying to break the Broncos' defence. Even 21 wins from 37 past outings at Shark Park can't convince me to tip the chaotic Sea Eagles. Played: 73, Panthers 37, Raiders 35, drawn 1. 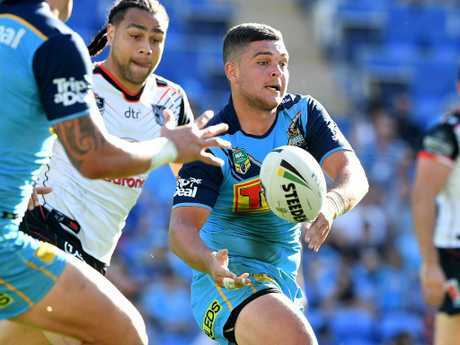 Now that the Raiders are out of finals contention and the Panthers finally back on the winning list following four losses in five rounds, the home side appear certainties. And the fact the Raiders have won only a dozen times in their 31 visits to their closest NRL neighbour doesn't engender confidence. But with the Raiders having averaged 24 points a game this season and the Panthers conceding 19, this at least looms as an entertaining end to round 20.